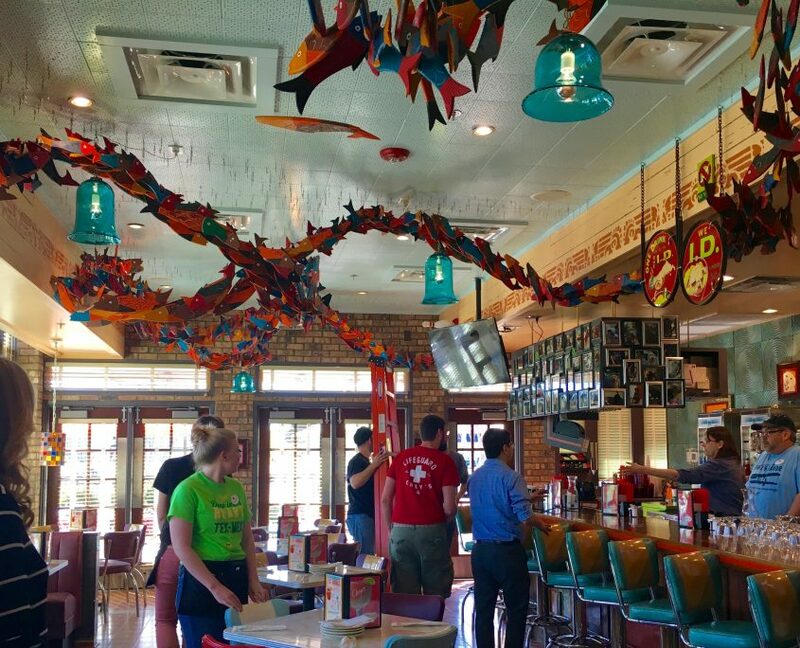 Cary, NC – Chuy’s has opened in Cary’s Parkside Town Commons, bringing their Texas brand of fresh Mexican fare. Earlier this month, I had a chance to visit the new Chuy’s location before they officially opened during a sneak peek media tour. It’s one of the perks that comes with the job. The field marketing manager, Holly Robbins, gave us a tour of the dining area and a little background about the restaurant chain that calls Austin, Texas home. The original Chuy’s restaurant was founded in 1982. The funky Tex-Mex food has caught on not only because its good, but it’s fresh and there’s always a surprise around every corner. There are now 72 locations in the U.S. including three here in the Triangle (North Hills and Durham are home to the others) as well as Jacksonville and Charlotte. They hope to open one in Waverly soon. 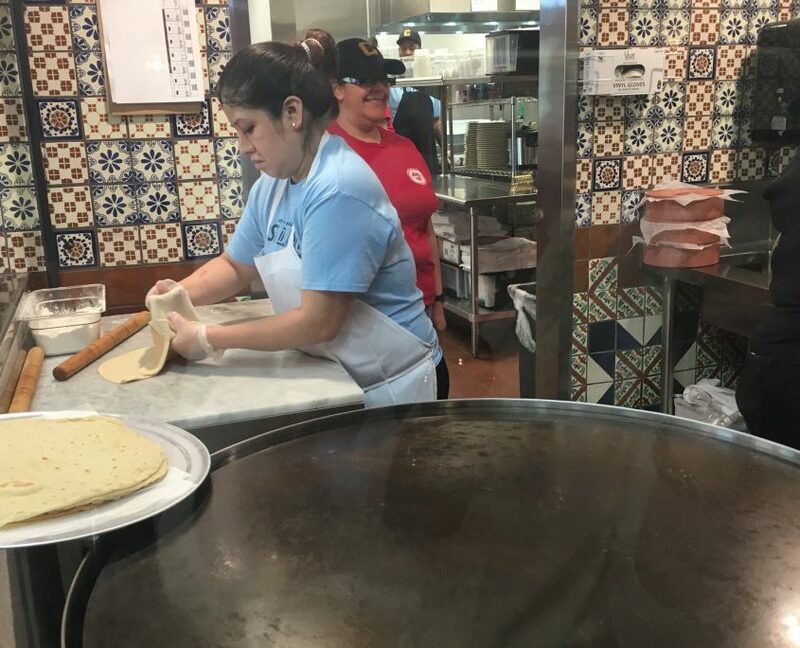 Everything is scratch-made daily, from salsa to tortillas and everything in between. The two buddies, Mike Young and John Zapp, opened the first Chuy’s on a budget and had some quirky ideas that continue as traditions in all the Chuy’s throughout the US. 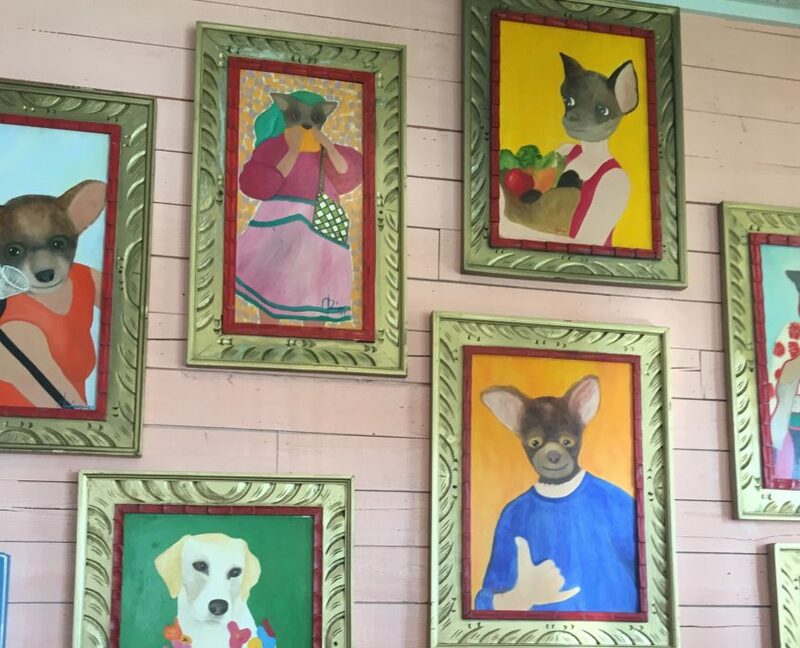 The “Chihuahua Bar” and is decorated with paintings of that breed, while the bar itself has framed photos of all sorts of dogs who were recently at a a pet adoption fundraising event. They encourage folks to bring framed photos of their favorite pups and they will be added to the walls. When you do, you receive a free appetizer! There’s also an Elvis shrine in the Cary Chuy’s which harks back to a velvet Elvis painting at the original restaurant. A Cadillac trunk holds the complimentary chip and salsa assortment in the bar. 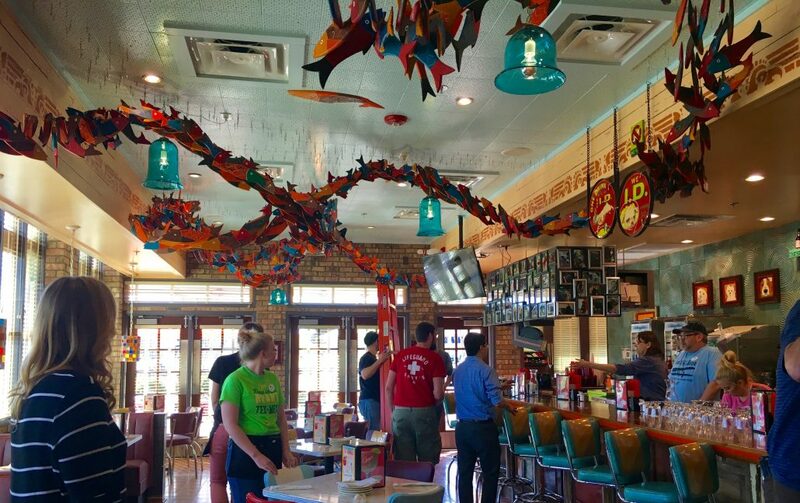 When you walk into any room in Chuy’s (in any location) you will see schools of painted wooden fish swimming above you, suspended from the ceiling. They are known as Mille Pescada (thousand fish). There’s a story for that too. When the owners were down in Mexico, looking for recipes and decor, they came across wooden fish for sale in a market. One of the owners thought they would be cool to add hundreds of them to the restaurant. Then they spent forever trying to locate who made the fish in order to place an order. Finally after locating the artist, they asked if they could come back in two months and they would buy a thousand from him. On a handshake they had a deal, and two months later, they were back for their fish. Ever since, every Chuy’s has a thousand of these same fish, hand carved and painted by that same artisan and his family hanging from the ceilings. The quirkiness continues to the tables and chairs, none of which match and hark back to old 50’s diner chairs. In one room hub caps cover the ceiling. Each room has a theme including one room with custom metal palm trees. For those not familiar with the term “Tex-Mex”, it’s not straight up Mexican food. You’ll have some Southwestern specialties like green chili sauce, and marinades that are from old Texas recipes. Basically it’s Mexican-influenced and adapted from Mexican border towns. Its spicy and flavorful. The thing I am most proud of in the entire restaurant, is this right here….We have two things that are frozen in the entire restaurant. Ice cream that we give away for free to all the kids and french fries. Dishes include Taco Salads, Tortilla Soup, Steak Burritos, Enchiladas, and their famous Chicka-Chicka Boom Boom and Chili Rellenos. Nope, we didn’t get to try these, we’ll have to go back! The restaurant officially opened to the public Tuesday, April, 17, 2016 in one of the out parcels at Parkside Town Commons at the corner of O’ Kelly Chapel Road and NC 55.